4.5 years ago our yard was just a dirt pad. Since then, we've planted well over a hundred different native and arid adapted plants, trees, cacti, and succulents. As those plants have grown up we've watched the array of birds, insects, and other animals that visit our yard exponentially increase. A week or so ago I discovered a new creature for our yard - a European Brown Garden Snail, - Helix aspersa. Snails are very interesting creatures to watch. They are most active at night and in damp conditions, yet this snail managed to find a place to live in our desert backyard. They have an adaption that allows them to seal themselves off in their shell to minimize moisture loss. 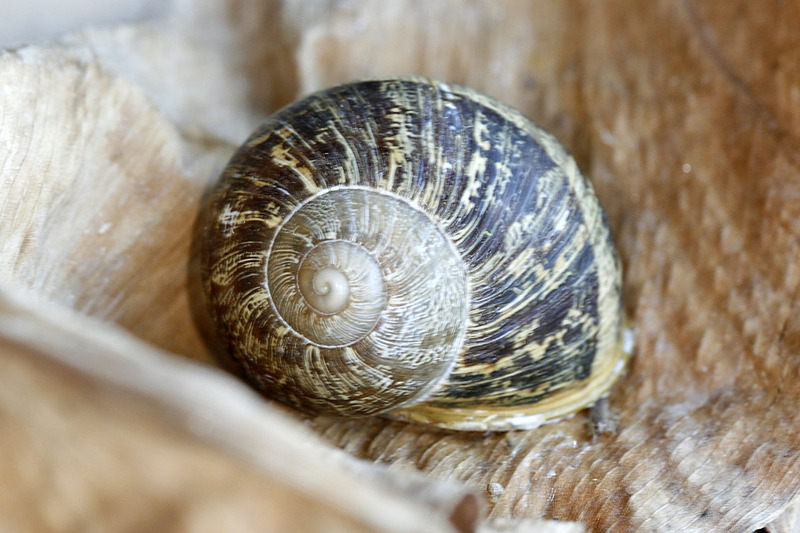 The above snail was in fact "home" inside its shell, but after having been tormented by our daughter, I decided to leave it alone and simply get a photo of its shell.